Our home modification services and home medical equipment is here to meet your needs and help you maintain your active lifestyle! We're dedicated to providing you with access to every part of your home. See how our stairlifts, entry plates and ramps can help. 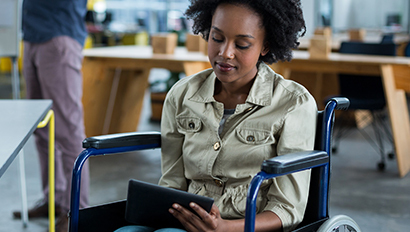 Stay safe and independent with one of our accessibility solutions. We design wheelchair ramps and install grab bars, barrier-free showers, wood or aluminum ramps and more. Request a free consultation today. As a leader in wheelchair ramp design, construction, installation and other accessibility solutions, Freedom Accessibility dedicates itself to providing you and your loved ones with high-quality home modification services. Our accessibility experts are available anytime to help you find the products and services necessary to lead a safe and independent life. Start your journey toward independence today by getting in touch with our accessibility experts! We offer customized solutions to suit your unique needs. With our free consultations, you work with our team of courteous and caring experts to determine what potential modifications are needed in your home. Once the home accessibility assessment is completed, we recommend solutions to allow you to maintain accessibility and independence throughout your home. Certified Specialists Available to You! Our certified specialists provide informed, trustworthy recommendations on products and services that will help you regain your independence. We understand how essential maintaining independence in your home is, and we’re here to help! Get in touch with us or view our certifications to get started.